For clients seeking the pinnacle of luxury and exceptional service with championship golf nearby and a world class spa, Sandy Lane on the beautiful Caribbean island of Barbados should definitely be placed on your short list for consideration. From the moment you pull up in front of this legendary resort, it is clear that Sandy Lane is not just another resort, that it is truly a destination unto itself. Guest of this resort can be as relaxed as they wish or take advantage of the resorts many amenities or explore the island of Barbados. The guestrooms and suites are extremely inviting with every attention paid to detail, incredibly spacious, featuring marble floors, large verandahs and state of the art equipment. The resort boast 112 rooms and suites as well as a 5 bedroom villa. The award winning Spa at Sandy Lane is a destination all of its own – you will find it hidden behind a cascading waterfall, this should be your first clue you are entering somewhere special. The stunning marble entry way and the grand staircases lead you to treatment suites and water therapies. Treatment therapies gathered from around the world and delivered with the Barbadian spirit of welcome. For dining pleasure guests have a choice of 4 restaurants and 7 bars– Other amenities include complimentary children’s club, fitness center, tennis, 3 championship golf courses nearby, gorgeous beach, watersports, 24 hour in-room dining. Located directly on the beach, 40 minutes from the Grantley Adams International Airport. Honeymoon amenities I could arrange during your stay at Sandy Lane include: candle-lit dinner by the Caribbean sea, butler-drawn bath with chocolate truffles or a romantic couples massage. Thinking of having your destination wedding at Sandy Lane, the wedding team can handle every detail as a Barbados Elite Club member, I would love to share more about my many visits to this beautiful Caribbean Island. 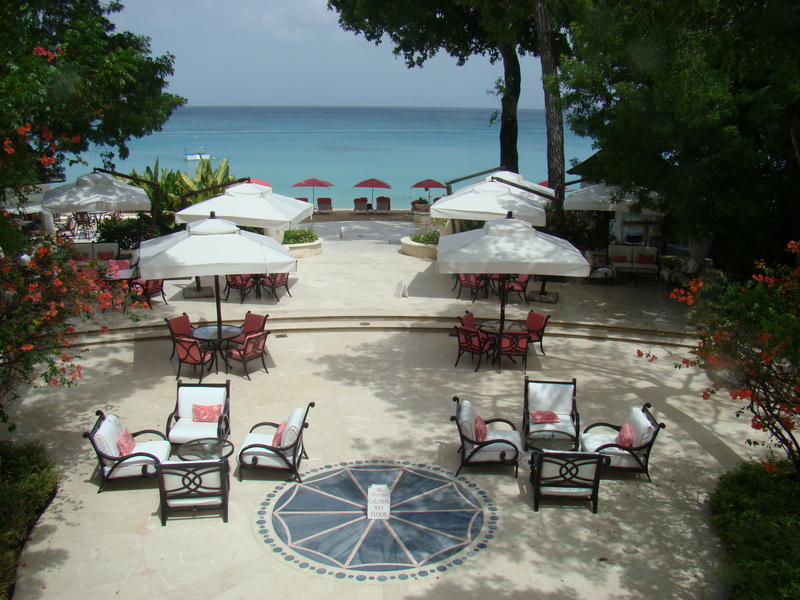 Check out JenReviews 100 Best Things to do in Barbados to plan activities during your stay.